Through a series of fortunate events, I discovered NION while searching on Facebook for a group where I could practice Japanese. NION is not a Japanese language practice group. The meetings are held in English. However, if you attend a community meeting you will hear Japanese, German, and English because we have native speakers of all three languages. I’ve studied Japanese for several years, and I lived in Kyoto for almost a year. Naturally, I feel some attachment to the Japanese language and culture, but I know from attending other language groups that a strong community is not based on common language alone. In fact, sometimes you don’t even need to speak the same language to feel a sense of community. I knew going into it that NION was different from what I had been searching for in the first place. However, the thing that made NION different is also what drew me in. 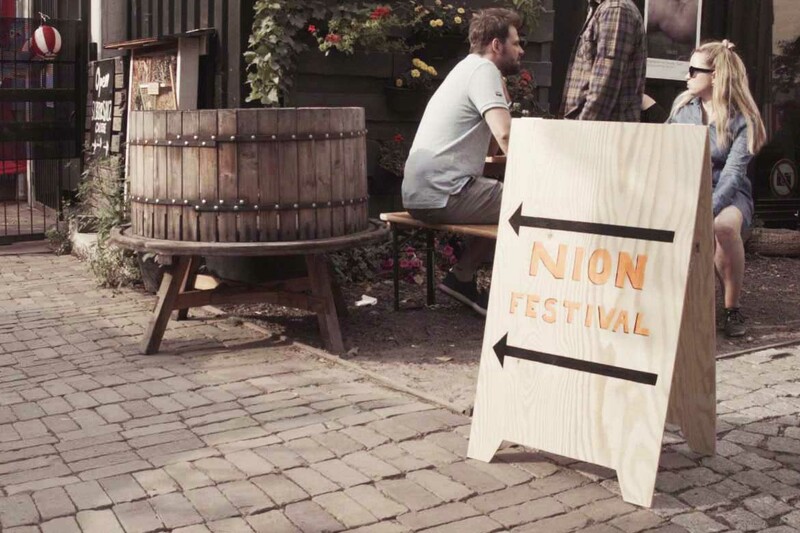 NION is about more than just Japan or Berlin. I was impressed by NION’s focus on sustainability and urban planning, topics that important to me as well. The NION community was in the middle of planning the NION Week when I joined. All sorts of people were at my first community meeting. The founders were there as well as university students, architects, designers, freelancers, and employees. Then there was me, who had just moved to Berlin a month before and was in the midst of applying to jobs. From my first meeting, I was volunteering and contributing to the organization of the festival. This exemplifies how NION really is a self-organized community. With each passing week, I felt myself growing more comfortable around the NION members. They were no longer strangers. They were friends. As the NION Festival we were all working so hard to organize drew nearer, I grew more excited but also more nervous. I was still on a tourist visa, and if I wasn’t able to find a job by the time my 90 days was up, I wouldn’t be able to stay in Berlin. This would also mean that I wouldn’t be able to attend the festival. In the end, I was able to get a visa to help me stay in Berlin. A lot of it was thanks to the NION team, who gave me lots of support and advice. One of the members even accompanied me to the Ausländerbehörde so that I could have a native German speaker present. NION Week finally arrived, and we were able to carry out the festival successfully. It felt good to see the results of something we had worked together for months to achieve. I’m even more excited about what we will do next. You don’t have to speak Japanese or even know a lot about Japanese culture to join NION. If you’re reading this, consider this your invitation to stop by a community meeting and see what we’re about.